Ok, completed my unit wiring today. I hung the thermocouple down among the heater elements, and power up the mains. Unit immediately came up, with set point of 100C, and about 20C indicated. Heater coils are three 2kw, and each has its own SSR. The SSR primary are all in parallel with the PID screw terminals. Heater coils all power on, and began to warm the thermocouple. I adjusted the set point down to 40C. The indicated temperature ran to 42C and all heater elements switched off. The indicated temperature dropped after a bit to 39C, and the heater elements re-energized. Last edited by keith20mm on Fri Dec 14, 2012 6:53 pm, edited 1 time in total. Press and hold Set for 3 seconds to get into program mode. I did notice that the set point value is remembered across power up/power down, so I presume there's some flash available on the MCU for programming setups. I didn't alter any of these values, as it appears the unit is working fine as received. Nice work keith, nice to see you got things working with an SSR. Slightly different to what I originally had in mind though, as my idea was to completely bypass the internal relay, and pull the 12V control signal to use for an external SSR, thereby allowing for faster cycle times, below 20s. Admittedly, my current setup isn't too different from yours in terms of using internal relay to activate an external SSR; I ended up buying another Chinese knockoff PID model--this time with alternative thermocouple support but still with internal relay (for some reason models with built-in relays cost less)--and a PT100 along with a mains powered SSR. I then hooked up mains to the internal relay to control the external SSR, thus allowing for higher currents. I have a RKC REX C-100 PID temperature controller from CHINA, they are a different revision than the RKC REX C-100 PID temperature controller from JAPAN. Do not throw out the Chinese double sided instruction sheet because the Initial Setting parameter labels have the same names, but the parameter values are not the same. For example the LCK code to get to the Initial Setting parameter is 1000 not 0000. The SL_1 input type parameter for 100 Ohm Platinum RTD is 1000 not 1100. The parameter tables are closer to the CD-101 controller layout than the C-100 JAPAN controller. The initial setting parameter tables are two tables Cod 0000 and Cod 0001. On the Cod 0001 table you can only see the decimal point setting parameter if you set up parameters for a 100 Ohm Platinum RTD type. (PGdP set to 0001 for 000,0 deg C display resolution.) The PGdP parameter does not appear in the Cod 0001 table when SL_1 is set to a type K input 0000. Change the Cod value between 0000 and 0001 to scroll through the two tables. SL_2, 3, 8, 9, 10, and 11 are omitted like the CD-101 table parameters. Using the SL_2 to change deg C to deg F (0000-0001) did not work for me. I have also found two different power options from the C-100 controllers manufacturer from China websites. Option 2 is a 220 VAC transformer and Option 1 is a 100 to 240 VAC switching power supply which was not in the specification section or EBAY pictures of the Dual Digital F/C PID Temperature Controller Control E12 from lijiestore2009 in Hong Kong for around $18.00 total with shipping to USA. It came with a 100 to 240 VAC switching power supply, I swapped out the type K thermocouple with a 100 Ohm Platinum RTD and have it set at 000.0 deg C resolution. Next I am going to unsolder and remove the 12 VDC 10 Amp output relay and jumper the 12 VDC signal to the relay coil to the relay output terminals as discussed in the previous posts, great idea thanks. I will use it to drive a Solid State Relays SSR 3-32V DC Output 24-380V AC 25A (about $5.00 total from Ebay Member id cheaper.buy also out of Hong Kong) Remember to change the T proportional cycle time from 20 seconds to 2 seconds when switching from relay to SSR. Finally do not forget a heat sink for your SSR if you are pulling above 10 amps through your SSR. Sous Vide cooking water bath heater above 1kW. To avoid over heating my SSR I plan to set a low temperature alarm a few degrees below SP to bypass the SSR and provide full power to my stainless steel 44 cup coffee urn I picked up from a thrift store for my Sous Vide Cooking. The 1000 watts Heater @ 120 VAC will draw 8.333 Amps through the 10 Amp low alarm relay until I get close to SP and the PID takes over after the low temperature alarm clears. revision than the RKC REX C-100 PID temperature controller from JAPAN. For example the LCK code to get to the Initial Setting parameter is 1000 not 0000. The SL_1 input type parameter for 100 Ohm Platinum RTD is 1000 not 1100.
than the C-100 JAPAN controller. 100 Ohm Platinum RTD type Pt100. 0000, so only 1 deg C display resolution is available. 3, 8, 9, 10, and 11 are omitted like in the CD-101 table parameters. Digital F/C PID Temperature Controller Control E12. Not seeing your before and after pictures, just the C100.pdf. I know I am late in the game and on top I am not an expert at all. I just ordered this CD101 from China to controll an electric burner for my lab. I want to keep a certain liquid between 95 and 100 C - so the PID should just work as a switch, heat on below 95, heat off above 100. I have read and re-read the manual and so far figured that I need to connect the heater to 3 + 4 which will work as relay, correct? the CD101 does not supply the current, it just switches on/off in relay mode - is that correct?. On top of it - and that is the worse part, I have no clue how to program the thing to work as a switch. Can anyone here give me some pointers? If the CD101 can not do what I need - confirmation of that would also help (save time). 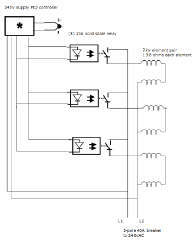 Connect the PID controller in series with your heater. Keep in mind that the relay output is only rated at 3A, so if you are switching a bigger load you need another relay or an SSR. Read the manual before you start changing the settings. There is a real possibility of electrical fire, etc. if you mess things up. I don't think the CD101 can be configured for a pure on-off (thermostat) mode, like some other PID controllers can. It will pulse the relay output on and off at a rate that maintains a specific temperature. Thank you guys for sharing your information. It helped me a lot to finally get the controller working. I wanted to upgrade my Gaggia Classic espresso machine to PID temperature controlled. As with dasai, I bought the RKC REX-C100 from China. It came with a K type probe but I broke it when I tried to convert it into a M4 screw fit. So bought a RTD PT100 with M4 fitting probe online. The unit input parameter setting is more like CD-101 than a few of the RKC REX C-100 manual. To use with RTD PT100, SL_1 input type should be 1000, not 1100 as per all documents. I set it with 1100 and didn't work. Also my RT100 probe has 2 wire only. To use with this controller I have to short 2 of the pins, as per the schematics diagram. When use with PT100, can set PGdP to 0001 to have 1 decimal precision. The unit I got sent is to be used with relays. So I unsoldered the small relay on the output board, and connect the 2 pins directly to the small relay drive pins. Now I'm using it to drive a 30A SSR. The output is DC 14V ish. For other novices like me make sure the polarisation is correct for the SSR. I didn't know this so I connect the wires wrong way round and the SSR did not switch. I thought it's broken, and nearly bought another one.